Think of Rewards or Loyalty Programmes, and immediately your mind goes to the retail store brands, like Clicks or Dis-Chem. Why have we not yet seen a loyalty programme rewarding customers for their regular purchase of a single brand? Because, historically there has been the big challenge of proving that the shopper actually bought the product in order to reward them, especially for brands enjoyed by the mass-market of South Africa. 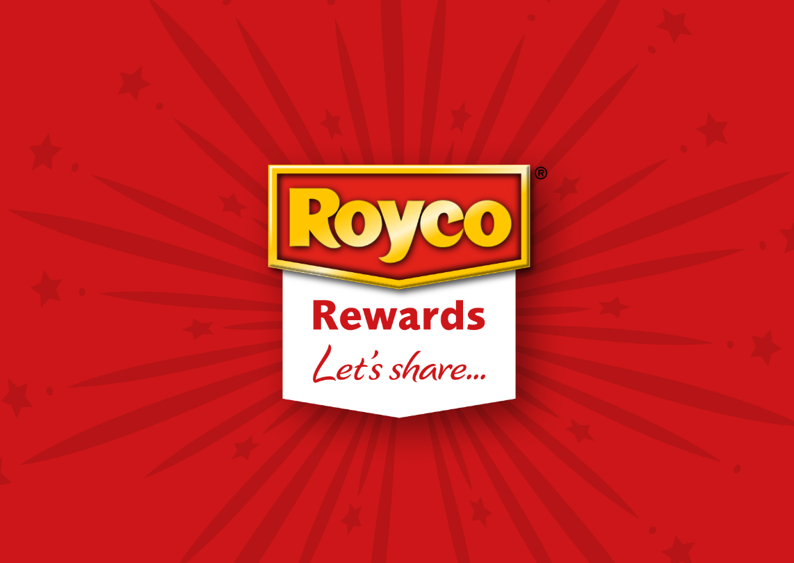 Royco, the much-loved soups, sauces and marinades: Royco Rewards… a multi-platform, mobile-first, always-on rewards programme that allows consumers to accumulate airtime which can be redeemed at any time. Designed to create a direct communication channel with its consumers to keep Royco top of mind, in preparation for their stokvel’s bulk buying season at year end, but also for individual purchases all year round. Offering their channel of choice (interchangeably) on high-reach, text-based USSD (without the need for internet) as well as rich-media Whatsapp, and Facebook Messenger via a ChatBot. For individual as well as stokvel and bulk purchases, consumers simply purchase Royco and upload an image of their till slip to our bots for verification (a South African first), earning them 50 cents for any Royco product bought. Once on-board, members are delivered strategic messaging to drive further purchase. Whilst, progressive profiling allows us to gain additional information about our shoppers for the brand. Activations, TV partnerships, print, out-of-home and social media all promoted the call to action to join. Launched on 16 July 2018, by the end of August we had over 82 000 join our programme, with over 23 000 joining in one day! Royco Rewards was designed, through its gamification, communication, referral mechanic and rewards strategy, to drive Royco consumer membership to learn about the brand, share and prompt trial and purchase, increasing the Customer Lifetime Value. Royco Rewards has not only generated great results for the brand but has received a number of nods from the Marketing industry and these accolades from the industry peers are a reminder to constantly work to achieve greatness and deliver innovation through collaboration of client and partner agencies. Joining and engagement happens on WhatsApp Chat Bot, Facebook Messenger as well as USSD, interchangeably. The Chatbot platforms were critical in receiving the till slip image as proof of purchase. These images were fed to our automated Till-slip Reader that learnt how to validate and count purchases and allocate rewards accordingly – this overcame a major obstacle for a Rewards Programme that rewards consumers for purchasing a single branded product at various retailers nationwide. Our secret sauce in Royco’s award winning local recipe, was the smart use of the mobile phone, enabling technology to solve our South African challenges, as well the experience of all the cooks in the kitchen (Mobitainment, ARC South Africa, Asakhane), always inspired by client, MARS Africa.